It's that time of year when cyclists indulge in wacky racing over muddy fields, through woodland, in sandpits, jumping over hurdles, and sometimes climbing up flights of steps with their bikes slung over their shoulders. 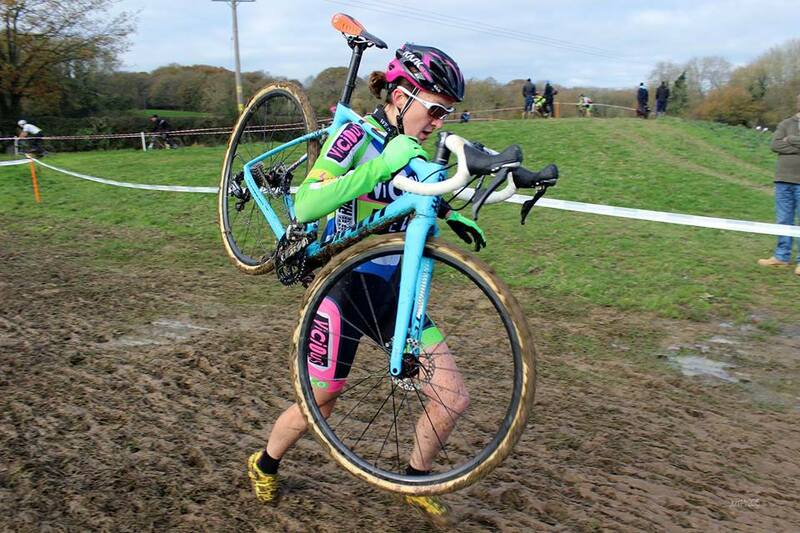 You've guessed it - cyclocross is back on again. So this month's Can-do girl features none other than local hard nut racer, Delia Beddis of Vicious Velo, champion of the Three Peaks Cyclocross challenge. Hailing from Otley, the same town as that other women's cycling champion, Lizzie Deignan (née Armitstead) Delia isn't satisfied with the traditional cyclocross races that are completed in barely forty-five minutes. What really gets her out of bed is flying up and over the big peaks of the Yorkshire Dales - Ingleborough, Whernside and Pen y Ghent, one after the other with her bike in "the hardest cyclocross race in the world." So here's a bit about this challenge in Delia's own words. I've done the Three Peaks four times now. The first one wasn't too great and the second was the infamous year of torrential rain when unfortunately I crashed out. Things got better after that. I won the race for the first time in 2013. It was the third time I was doing it. Most importantly, my Dad and I won the 'Parent / Child' competition that year and we got a bike rack for our efforts! I'm not made for top-end speed so I like a long gruelling race. Also, if you're half decent at running you can get a good result. It's such a great atmosphere and it's near my proper home in Otley so I'm fairly used to the terrain. That's why I keep coming back! The terrain on the Yorkshire Dales is totally different from a normal cross race. That can be a shock to the system for most people when they race it for the first time. It varies between each peak. Ingleborough is like moorland and can be a bit boggy on the tops; Whernside is more rocky with steps - the limestone slabs on the descent make for good riding especially with disc brakes. Pen Y Ghent is more like a trail but still tough to get up especially near the summit. I try to dovetail my Three Peaks training with road racing in the summer. I use the road to build up some endurance but start to layer in some walking and running from May/June to remind my legs how to do it. Slow and steady build up is the best way to avoid injuries. I generally stop road racing around July to focus on Peaks endurance. 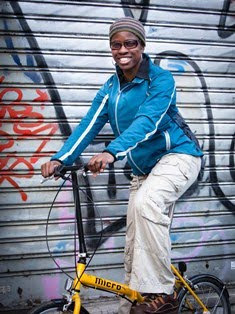 I then do mountain biking and running uphill with the bike as much as possible. I don't get to do as much training as I would like in the Dales. This year I only managed one training weekend at home so the rest of my training is done down in Kent. There's no substitute for riding up in the Dales and getting used to the terrain and the conditions though. Even things like knowing how to shoulder the bike into a strong wind really helps. I did get some harsh weather practice in the west of Ireland this summer, which was good prep! The course is bumpy but different to the cobbled classics. The longest parts with bumpy descents are Whernside and Pen Y Ghent. Whernside is okay once you relax into it. If you're too tense then it can hurt a lot and you're more likely to crash. I usually find that Pen Y Ghent is a great, fast descent but I was in pieces by that point this year so it felt very bumpy. I hadn't eaten enough so blew big time on the final climb. How to reduce shocks to the body? I've been working with my coach Jo McRae on core conditioning and weights this year, which has been a big help for taking the bumps and being able to recover afterwards. Other than that, I try not to get too tense on the bike. I rode a Giant TCX Advanced Pro this year and I love it! It was fitted with Land Cruiser tyres because they're like tractor tyres, so low risk of punctures. I don't make any significant changes to my bike for the race. Disc brakes help but I did a better time in 2013 on cantilever brakes! Some people put tubing on their bike for when shouldering [carrying the bike] but I don't think there's any need. I just don't use a bottle cage so that it can sit correctly. The time I did it in this year wasn't my best and was well down on what I was hoping for. It started well and I was happy after the first two peaks until I realised I was running on empty. I knew that riders like Verity Appleyard were strong, and in a panic to try to save time I didn't eat as planned at the top of each climb. I totally blew apart on Pen Y Ghent and everything from there on was a bit of a blur! I am still really happy to have got the win though, and there was a great atmosphere in the pub at the end. Mark Richmond, who has taken on the mantle of managing the Three Peaks from John Rawnsley is doing a great job. My tactic was to go as fast as I could uphill and keep going faster downhill, then time trial the road sections. Some people switch to racing on a road bike on the tarmac sections and then get back on their cross bike on the off-road trails but I think it's a bit of a faff to be honest. It takes a lot of time to plan where helpers will be and I don't like the idea of something going wrong. There are limits on the tyre width that you can use so there's minimal advantage in switching bikes. So I just try to keep it simple! You've probably guessed that the toughest part for me was Pen Y Ghent! I just had to dig in really hard even though I was seeing stars! I got through by drinking Coca Cola and Lucozade offered by some friendly supporters and racers, just so that I could get some much-needed sugar. Starting up at the front makes a really big difference as you don't get stuck in the bottlenecks. If I do get stuck, my general tactic is to get my elbows out and shout as loud as I can. I'm not a very nice person when I'm in race mode! I didn't crash or have any mechanicals this year. My boyfriend Mark and my Dad were my support crew and everything was seamless as ever! My most memorable moment from any edition of the Three Peaks was in 2013 when I won, and seeing my Dad at the car park in the end. I think that achievement paled in comparison to anything else I've done in his eyes. Sorry is that a bit soppy? I have had an extended break since doing the Three Peaks because I'm doing an assessment for work. I need to get my head back into it now and start training for the National Trophies, so will probably target the latter part of the season. I'll see how things go. I'd love to go further up on the podium at the National Championships. [Delia came third behind Nikki Harris and Helen Wyman at the 2016 Championships.] However, it's such a competitive field these days! 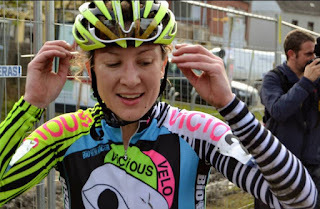 I'll race in Belgium though, with my ViCiOUS VELO team mates this winter. There's a block of races around Christmas and New Year that are great fun. I'm nowhere compared to the pros but racing at that level really brings me on. One day one photo - 10: Parkrun rules!